An audio recording heard around the world took down one of the wealthiest men in Los Angeles last year, but this time, Donald Sterling's former gal pal V. Stiviano is paying the bill. 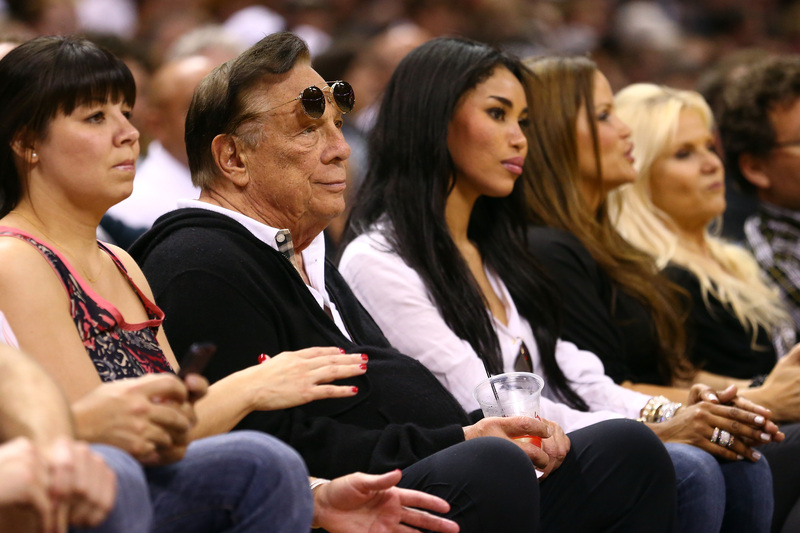 A judge on Tuesday ruled Stiviano must return $2.6 million to wife Shelly Sterling because the gifts Donald Sterling gave the 32-year-old were community property from their marriage. Those gifts included a $1.8 million condo, three luxury cars, jewelry, and other big ticket items. Judge Richard Fruin Jr. awarded Shelly Sterling much of the $3 million she had originally sought in her claim, in which she accused Stiviano of being Donald Sterling's mistress. The two have denied a sexual relationship. The title for the house will be transferred to the Sterling Family Trust. Stiviano must pay $400,000 for the three cars — a Ferrari, Bentley, and Range Rover — as well as $430,000 for gifts of cash. Shelly is thrilled with the decision. This is certainly a victory for the Sterling family whose funds were dissipated by Donald to lavish millions of dollars of gifts on a conniving mistress. The decision also has broader significance in today's society. Shelly has set a precedent indicating the rights of all spouses to protect their community property. Stiviano's lawyer had contended the gifts were provided while the Sterlings were separated and were Donald Sterling's to give away. That would mean Shelly Sterling didn't have the right to retrieve them from a third party. The judge rejected that argument. Known for her outlandish face visors, Stiviano made headlines when an audio recording emerged in which Donald Sterling was heard made racist comments. Though she made the recording, Stiviano denied leaking the tape. The highly publicized scandal caused the NBA to ban Donald Sterling for life. Soon after, Shelly Sterling sold the Los Angeles Clippers to Steve Ballmer, former CEO of Microsoft, for $2 billion.